FxMagnetic is a tempered Forex indicator with success rate for manual trading on MT4. FxMagnetic was designed especially for beginner Forex traders and optimized to give best possible signals. Manual Forex Trading is Easier and Safer with the FxMagnetic indicator. 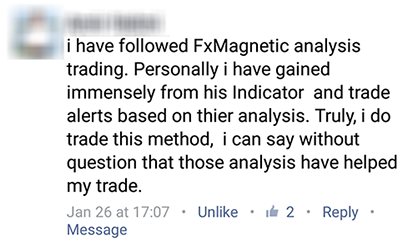 How FxMagnetic Indicator Can Help Me? Trade Forex using a statistically proven trading strategy which gives exact entry price and direction right on your MT4 charts. Know the exact Stop Loss and Take Profit to set for each trade for best accuracy and performance. See the statistics of the previous 100 trading signals to know what you can expect. Use FxMagnetic as a leading indicator or as a secondary indicator to confirm your own market analysis. FxMagnetic shows statistics of the last 100 trading signals. 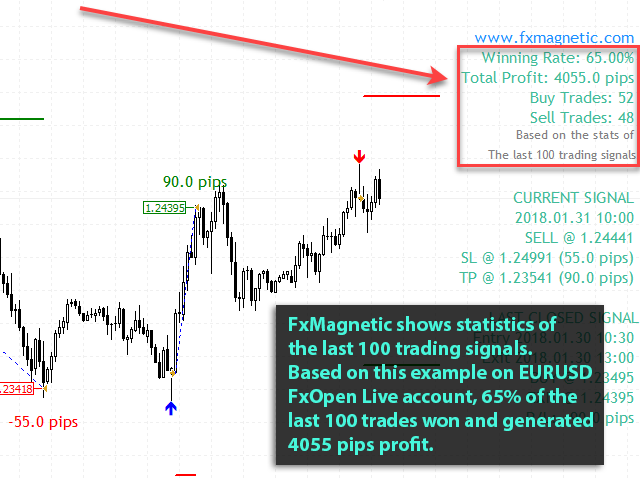 Based on this example on EURUSD FxOpen Live account, 65% of the last 100 trades won and generated 4055 pips profit. 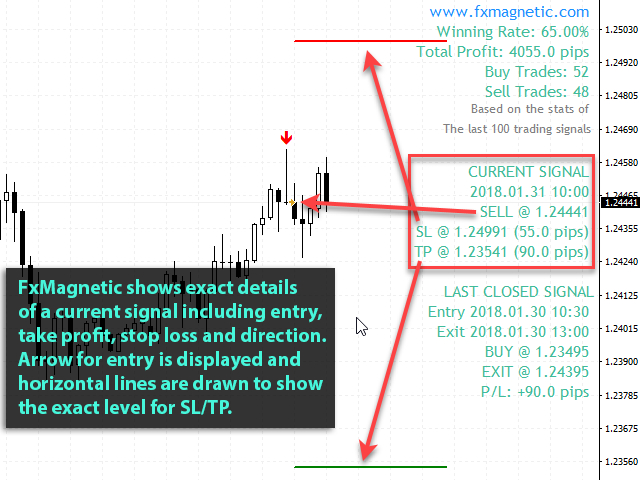 FxMagnetic shows exact details of a current signal including entry, take profit, stop loss and direction. Arrow for entry is displayed and horizontal lines are drawn to show the exact level of SL/TP. 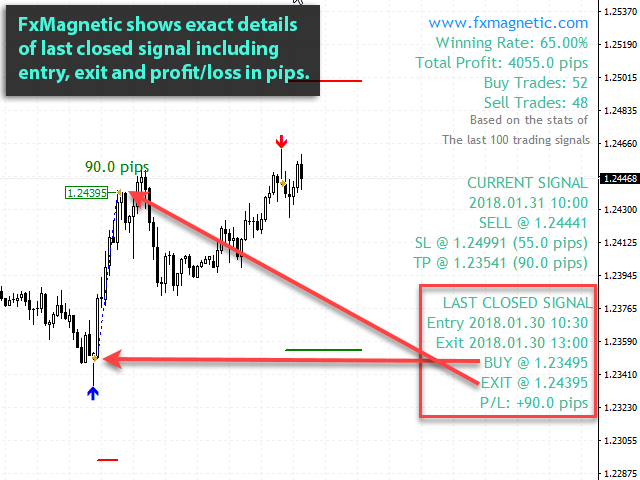 FxMagnetic shows exact details of last closed signal including entry, exit and profit/loss in pips. 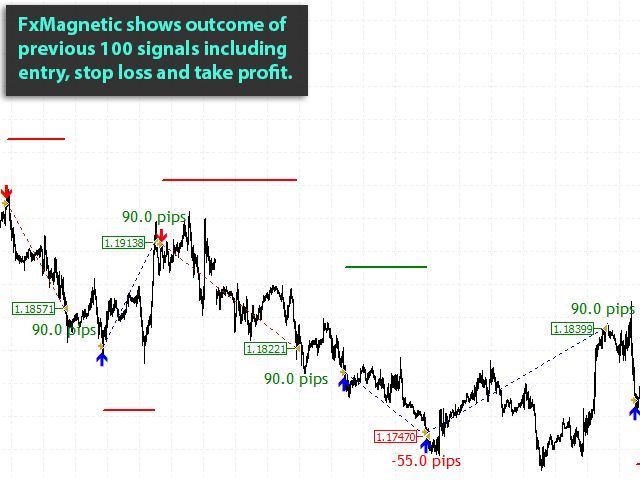 FxMagnetic shows outcome of previous 100 signals including entry, stop loss and take profit. FxMagnetic does not repaint. It shows the outcome of previous no matter if they were losing or winning. The FxMagnetic manual trading indicator is truly awesome and traders are excited to use it. 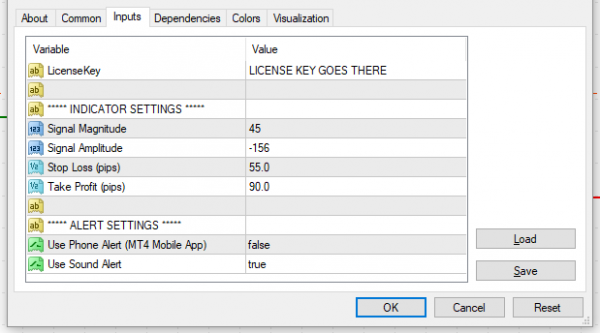 But being an honest Forex software provider I need to tell you that this is not a holy grail and you need to use your common sense for each entry. For example, if there are lots of negative news for EUR/USD then it probably not such a good idea to follow BUY signals. We do not have a crystal ball and cannot see the future. 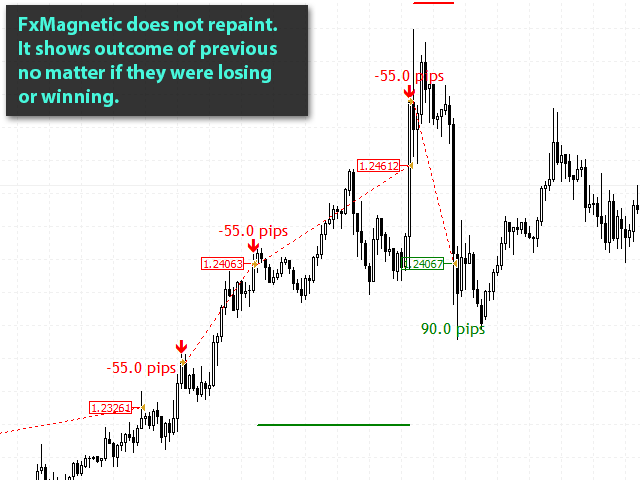 What this indicator does is using a special algorithm to detect best possible Forex trades. FxMagnetic also shows the statistics of the last 100 trades (if your broker has enough history data) which allows to measure and display the Winning Rate (%). There will be losing and winning trades. Sometimes several losing trades in a row possibly followed by several winners, etc. What's important is to catch more winning trades than losing trades. But even if you catch the same amount of winners and losers you still should be in profit because of the 1.63 risk-to-reward ratios. 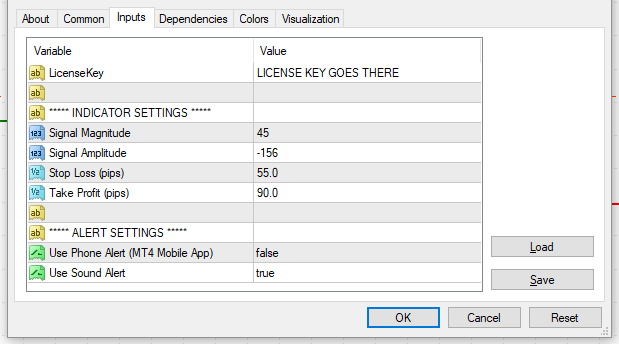 Feel free to change indicator parameters to find your own best combination of entries or simply use default settings. Also, note that different brokers have different price history data so you might see different entry signals on different brokers. Personally, I use FxMagnetic on GBE Brokers.